HomeComfort Corner LifestyleAre you a member of sleepless Britain? Are you a member of sleepless Britain? Can you remember the extra hour that we all had in bed recently? It may have been a great feeling at the time but after just a few short weeks this state of eternal gratefulness has been all but forgotten. Essentially it’s a short term gain and a way to temporarily cut corners as the clocks will go forward again in spring! It can be even harder if you have children as they will often just wake up one hour earlier. However, to add to the woes, a recent study suggested that the UK is amongst the worst sleepers in the world. In a survey of 1,000 people aged over 18, 37% of Brits said they did not get a sufficient amount of sleep. The study which involved 13 countries doesn’t bode well for Brits who don’t get enough sleep, particularly when 29% of families actually prioritise sleep over eating healthy and reducing sugar intake. In contrast, the most restful nation in the study was India, where just 9% of people sought after more sleep. Furthermore, as the second greatest health ambition of Brits, behind wanting to lose weight, is to achieve more sleep, it begs the question: exactly why do the people of Great Britain get such little sleep? Experts have answered this question by saying that modern British culture is at fault. Quite simply, it undervalues the importance of a restful nights slumber and views people who spend a long time in bed as either weak or lazy. Indeed, figures like Winston Churchill and Margaret Thatcher were admired for being able to function on as little as four hours sleep per night and as a result were often seen as strong leaders. 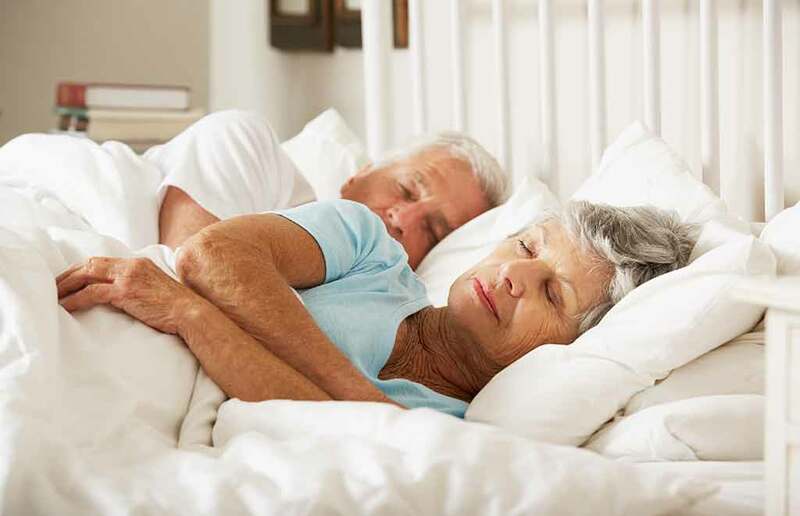 On the importance of sleep, HSL’s independent Occupational Therapist, Julie Jennings states that: “sleep is an essential part of being healthy and enables us to perform our everyday daily demands. The fact is that resting well can help our body to grow, develop, repair and restore itself; failure to do this risks a whole host of other health implications. Put simply, sleep provides us with a natural restorative period that our bodies need.”The idea of getting a good night’s sleep develops from an early age and it is thought that these values are not being passed onto our children. This is supported by the fact that only 51% of parents adequately ensure that their children get the necessary amount of sleep, whereas 49% use ‘going to bed later’ as a reward for their children. Therefore, what are the best ways to effectively overcome the sleep barrier that many of us face? The importance of keeping a strict bedtime routine should not be overlooked when trying to achieve a great night’s sleep. Try not to deviate too much from weekdays, to weekends and even days off. Keeping a consistent sleeping pattern will help to reinforce your body’s sleep-wake cycle and promote a natural’s night’s sleep. If you fail to fall asleep within about fifteen minutes then try and do something relaxing and try again when you feel tired. Instead of watching television directly before bed, try and read a book or do something that doesn’t involve a screen. This is because the blue light emitted from your phone, laptop or tablet is particularly disruptive in trying to achieve a great night’s sleep. If viewing a screen is absolutely necessary before bedtime, then reduce the brightness of the device. However, listening to music or simply talking with friends and family is the best option. Your bedroom should serve as a relaxing environment when trying to get off to sleep. This is because there’s actually a really strong association in people’s minds between sleep and their bedroom. Having said this, there are certain things that weaken this association. For example having TV’s and other electronic gadgets or even a poor mattress could all result in a worse night’s sleep. The ideal environment for you bedroom should be dark, quiet, tidy and fall in a temperature of 18 and 24 degrees centigrade. Try and install some thick blackout curtains and if you’re disturbed by surrounding noise, use ear plugs. If you’re very serious about getting a great night’s sleep then the best thing to do is to monitor it. This could reveal lifestyle habits that could impact upon somebody’s ability to fall asleep. Indeed, if you seek advice from a GP, they will advise to keep a sleep diary in order to find a solution to your sleep problem. Therefore, it is important to take a step back, consider if you fit into the category of a ‘sleepless Brit’. If the answer is ‘yes’, then it is important to ensure that you follow the above advice to improve the quality and amount of sleep achieved. However, if problems get progressively worse then you should consider visiting your local G.P.